Sing with us every month. ​6 p.m to 8 p.m.
Sacred Harp is traditional, a cappella, community harmony singing. All singings are free and open to newcomers, all ages, all voices, and all levels of musical experience. Loaner books and tutorials are available at the singings. Questions? Want to come to a sing? 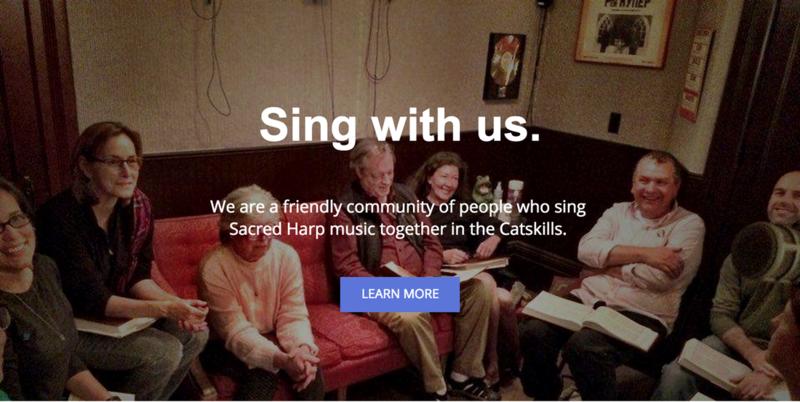 Contact Julia Reischel at 845-586-6183 or at sacredharpcatskills@gmail.com.